In a weird moment of synergy, it turns out that Sherlock actor Benedict Cumberbatch is distantly related to the guy who first brought the character to life over 100 years ago. That’s...kind of awesome. 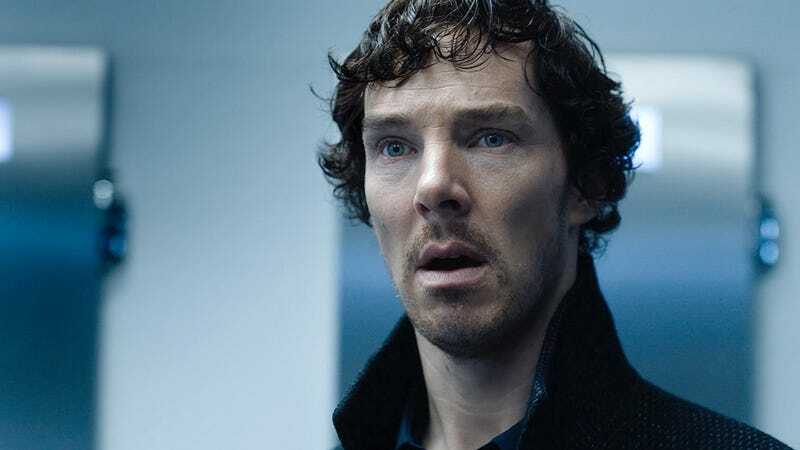 Genealogy researchers with Ancestry.com discovered that Cumberbatch and Sir Arthur Conan Doyle are 16th cousins, twice removed. Doyle died in 1930, and Cumberbatch currently plays his most famous character on the PBS television series. Their common ancestor is John of Gaunt from the 14th century, who was the duke of Lancaster and the fourth son of King Edward III of England. He’s Doyle’s 15th great-grandfather and Cumberbatch’s 17th great-grandfather. Given the fact that Sherlock returns to PBS for its fourth season this weekend, the timing of this genealogy announcement seems too good to be an accident. But the researchers insist they weren’t asked by anyone to look up the ancestry, they just thought it would be a cool thing to dive into. Cause, you know, Sherlock Holmes likes mysteries and stuff. “Making family history connections is similar to piecing together a mysterious puzzle, one that the great Sherlock Holmes himself would be intrigued to solve,” Lisa Elzey, family historian at Ancestry, said. They added that they haven’t even bothered to tell Cumberbatch yet. Well, he probably knows now.